Lecturing, on holiday, at graduation, & serving the campus as Associate Dean of Science & Mathematics (2005-2008). We focus on the physiological factors causing inter-population variations in realized fertility in humans and the development of biomarkers and non-invasive tools for assessing these factors. Our work has helped found the discipline of Human Reproductive Ecology which includes examination of factors that link diet and disease status to such phenomena as birth seasonality, female conceptive loss, male endocrine function, and the urogenital microbiome. Exploration of the reproductive biology of a captive prosimian, Perodicticus potto, expanded applications of our methods beyond humans. In vitro studies of the measurement and metabolism of several hormones including steroids, gonadotropins and inhibin, hormone binding globulins, and molecular genetic probing of disease vectors, immune status, female reproductive status and coital patterning both in human and nonhuman species have expanded the list of study variables. Development of methods for simultaneously and noninvasively measuring ovarian, insemination and urogenital microbiome status in serial female urine sediments has expanded the abilities of demographers, epidemiologists and clinicians conducting fertility enhancements. More recent proteomic exploration of protein hormone metabolism in the context of a search for biomarkers relevant to endocrinology hints at the existence of exciting new avenues for exploration of endocrine regulation and control. Our work will help define the physiological and ecological parameters most appropriate for modulation in programs to empower couples to regulate the size and spacing of children and the maintenance of health and full physiological function.� In addition, it should help to define those most vulnerable to ecological insults and therefore in need of protection with environmental, animal management, public health, nutrition, or care delivery programs. Campbell, KL, A Eisenkraft, M Hart, CB Valencius, SM Sonin, J Kim (2017) How to Build Bridges: Career Stories that Connect the Humanities and the Sciences. Chapter 15, In P Gibbs, ed. Transdisciplinary Higher Education: A Theoretical Basis Revealed in Practice. Springer International Publishing: Cham, Switzerland, ISBN 978-3-319-56184-4, ISBN 978-3-319-56185-1, DOI 10.1007/978-3-319-56185-1, 227-254. Campbell, KL, J Kim, N Bruss (2016) Crossing the disciplinary boundary: Pedagogical conjunctions in the humanities and sciences, International Journal of Science in Society 8(3), 1-20. Campbell, KL, M Lopresti, W Lukas (2014) Inhibition of horseradish peroxidase (HRP) by a nonhydrophobic component of urine: A caution for immunoassays, Open Clin Chem J, 7(1), 1-7. Campbell, BC, P Leslie, KL Campbell (2007) Age-related pattern of DHEAS among Turkana males of northern Kenya, The Aging Male 10(4):203-209. Campbell, B, P Leslie, K Campbell (2006) Age-related patterns of urinary gonadotropins (FSH and LH) and E-3-G as measures of reproductive function among Turkana males of Northern Kenya, Social Biology, 53(1-2):30-45. Campbell, KL, JC Rockett (2006) Biomarkers of ovulation, endometrial receptivity, fertilisation, implantation and early pregnancy progression, Paediatric & Perinatal Epidemiology 20 (s1), 13-25. Campbell, B, P Leslie, KL Campbell (2006) Age-related changes in testosterone and SHBG among Turkana males, Am J Human Biology 18(1):71-82. Campbell, BC, PW Leslie, KL Campbell, MA Little (2005) Pubertal timing, hormones and body composition among adolescent Turkana males. Am J Phys Anthrop 128(4):896-905. Lukas, WD, BC Campbell, KL Campbell (2005) Urinary cortisol and muscle mass in Turkana men, Am J Hum Biology 17(4):489�495. O'Connor, KA, E Brindle, JB Shofer, RC Miller, NA Klein, MR Soules, KL Campbell, C Mar, MS Handcock (2004) Statistical correction for non-parallelism in a urinary enzyme immunoassay, Journal of Immunoassay and Immunochemistry 25(3):259-278. O'Connor KA, Brindle E, Holman DJ, Klein NA, Soules MR, Campbell KL, Kohen F, Munro CJ, Shofer J, Lasley WL, Wood JW (2003) Urinary estrone conjugate and pregnanediol-3-glucuronide enzyme-immunoassays for population research, Clinical Chemistry 49(7):1139-1148. Campbell BC, WD Lukas, KL Campbell (2001) Reproductive ecology of male immune function and gonadal function. In PT Ellison (ed) Reproductive Ecology and Human Evolution. Hawthorne, NY: Aldine De Gruyter, 159-178. 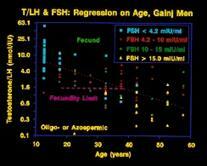 Holman DJ, JW Wood, KL Campbell (2000) Age-dependent decline of female fecundity is caused by early fetal loss. Chap. 9 in te Velde ER, Broekmans F, Pearson P, eds. Female Reproductive Ageing, Studies in Profertility Series, 9:123-136 Carnforth, UK: Parthenon Publishing Group. Schultheiss, OC, KL Campbell & DC McClelland (1999) Implicit power motivation moderates men's testosterone responses to imagined and real dominance success, Hormones and Behavior 36:234-241. Campbell, KL, OC Schultheiss, & DC McClelland (1999) A necessary adjustment of protocol for use of DPC coated-tube testosterone assay with saliva, Clinical Biochemistry 32(1):83-85. 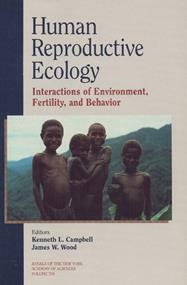 Leslie, PW, KL Campbell, BC Campbell, CS Kigondu, and LW Kirumbi (1999) Fecundity and fertility. Chap. 13 in MA Little and PW Leslie, eds. Turkana Herders of the Dry Savanna: Ecology and Biobehavioral Response of Nomads to an Uncertain Environment. Oxford Univ. Press:Oxford. 249-280. Holman, D, FN Rasheed, CM Stroud, E Brindle, KA O'Connor & KL Campbell (1998) A commercial pregnancy test modified for field studies of fetal loss, Clinica Chimica Acta, 271(1):25-44. Leslie, PW, KL Campbell, MA Little, CS Kigondu (1996) Evaluation of reproductive function in Turkana women with enzyme-immunoassays of urinary hormones in the field, Hum Biol 68:95-117. Campbell, KL & JW Wood, Eds (1994) Human Reproductive Ecology: Interactions of Environment, Fertility and Behavior, Annals NYAS, 709. New York: New York Academy of Sciences. Campbell, KL (1994) Blood, urine, saliva and dip-sticks: Experiences in Africa, New Guinea, and Boston, In Campbell, KL & JW Wood (ed) Human Reproductive Ecology: Interactions of Environment, Fertility and Behavior, Annals NYAS, 709. New York: New York Academy of Sciences, 313-331. Campbell, KL & JW Wood (1994) An introduction to quantitative endocrinology. 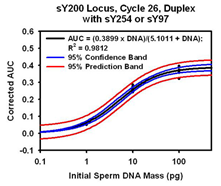 Appendix In JW Wood Dynamics of Human Reproduction: Biology, Biometry, Demography. Hawthorne, NY: Aldine De Gruyter, 553-590. Leslie, PW, KL Campbell, & MA Little (1993) Pregnancy loss in nomadic and settled women in Turkana, Kenya: A prospective study, Hum Biol, 65:237-254. Campbell, K & J Wood (1988) Fertility in traditional societies. In P Diggory, M Potts & S Teper (ed) Natural Human Fertility: Social and Biological Determinants. London: Macmillan Press Ltd, 39-69. Campbell, KL (1988) Solid-state assays: reagents and film technology for dip-stick assays. In B Albertson & F Haseltine (ed) Non-Radiometric Assays: Technology and Application in Polypeptide and Steroid Hormone Detection. New York: Alan R Liss, 237-287. Wood, JW, PL Johnson & KL Campbell (1985) Demographic and endocrinological aspects of low natural fertility in highland New Guinea, J Biosoc Sci 17:57-79. Wood, JW, PL Johnson, D Lai, I Maslar & KL Campbell (1985) Lactation and birth-spacing in highland New Guinea, J Biosoc Sci Suppl 9:159-173. Landefeld, TD, MD Byrne, KL Campbell & AR Midgley (1981) Differential processing of the two subunits of human choriogonadotropin (hCG) by granulosa cells. I. Preparation and characterization of selectively labeled human choriogonadotropin, Endocrinology 109:1851-1857. Campbell, KL, P Bagavandoss, MD Byrne, JA Jonassen, TD Landefeld, MW Quasney, MM Sanders & AR Midgley (1981) Differential processing of the two subunits of human choriogonadotropin (hCG) by granulosa cells. II. In vivo studies, Endocrinology 109:1858-1871. Campbell, KL (1979) Ovarian granulosa cells isolated with EGTA and hypertonic sucrose: cellular integrity and function, Biol Reprod 21:773-786. The materials contained on this Website, including, but not limited to, the textual material, graphics, artwork, photographs, and visual elements are owned or controlled separately (and exclusively as a collective work) by Kenneth L. Campbell, Department of Biology, University of Massachusetts Boston, Copyright 1997-2017 Kenneth L. Campbell, unless otherwise noted herein. In addition, copyright in the selection, arrangement, and coordination of materials in this Website is owned exclusively by Kenneth L. Campbell, Department of Biology, University of Massachusetts Boston, Copyright 1997-2017 Kenneth L. Campbell. Viewers of this Website may only view or browse the Website or make limited copies of portions of this work as fall within the fair use provisions of the Copyright Act, provided all such uses are for noncommercial personal purposes, and further provided that the user maintains all copyright and any other notices on all copies. Users are not permitted to store, in electronic or any other form, any significant portion of this Website. The contents of this Website may not be further reproduced, distributed, transmitted, modified, adapted, displayed, published, or sold in whole or in part without the prior written permission of Kenneth L. Campbell, Department of Biology, University of Massachusetts Boston. Any use which is commercial or non-personal is strictly prohibited, and may subject the User making such uses to applicable civil or criminal penalties. The User of this Website represents, warrants, and covenants that nothing uploaded, distributed, or published on this Website will be used in a libelous, defamatory, obscene, pornographic, or abusive way nor will be used to invade the rights of privacy or other personal or property rights or to infringe the copyright or trademark or any person or entity. The User shall indemnify, defend and hold Kenneth L. Campbell, and/or the Department of Biology, and/or the University of Massachusetts Boston, harmless from any damages, expenses, and costs (including reasonable attorneys' fees) arising out of any breach of these Terms and Conditions, representations or warrantees by the user. As part of this Website the Users may have access to a bulletin board and e-mail to which the User may send messages and other content. Kenneth L. Campbell, Department of Biology, University of Massachusetts Boston, reserves the right to monitor, delete, edit, remove, modify, or transmit any message or submission by a User of this bulletin board or e-mail. The Users shall remain solely responsible for the content of their messages. The User warrants that any and all moral rights in any uploaded materials have been waived. Kenneth L. Campbell, and/or the Department of Biology, and/or the University of Massachusetts Boston, shall not be responsible for communications or activities occurring outside the context of the bulletin board or associated e-mail even if such communication of activity commences or continues in the context of the bulletin board or associated e-mail. The User further represents and warrants to Kenneth L. Campbell, Department of Biology, University of Massachusetts Boston that the bulletin board and associated e-mail will not be used for the solicitation of funds, advertising, or solicitation of goods or services. The User shall hold Kenneth L. Campbell, and/or the Department of Biology, and/or the University of Massachusetts Boston, harmless from any damages, expenses, and costs (including reasonable attorneys' fees) arising out of any breach or alleged breach of the User's implied or expressed representations and warranties.